Image taken with an Olympus camera and 50mm lens piggybacked on dobsonian telescopes tracking with an Equatorial Platform. The exposure time was 6 minutes at f4 on Ektar 1000 film. 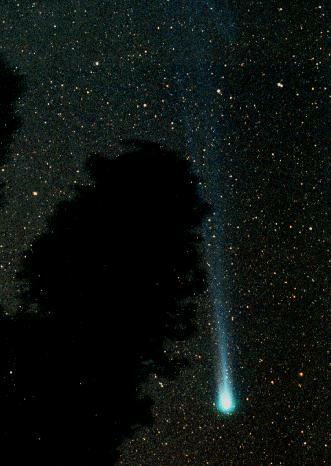 Photos taken by Tom Osypowski on March 25 (Comet near tree).